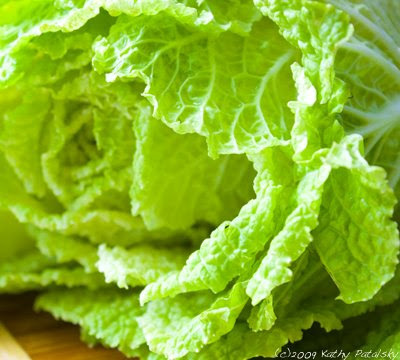 Napa Cabbage: 5 Healthy Uses and Nutrition Facts. Napa Cabbage Looks. 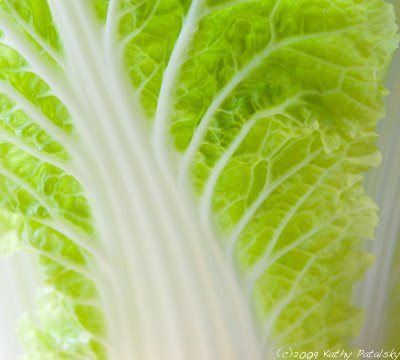 In my modest view, I think Napa Cabbage is the most beautiful of the cabbages out there. It is long and oval shaped-not round. And it has beautiful white veining throughout its light yellow-green ruffled leaves. The inside main vein becomes very wide and smooth. Almost like little plates. Though Napa Cabbage is heavy-but that is a sign of high water content. Great for people watching their weight and trying to control their appetite. Phytochemicals are another area of nutrition we must look at. Phytopia.com says, "Cabbage: A cruciferous vegetable. 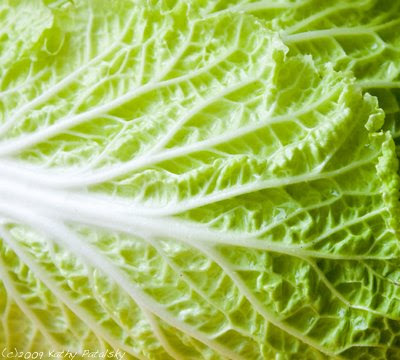 Indoles, dithiolthiones, isothiocyanates, flavonoids, organosulfides, glucarates, coumarins and other phenolic acids, terpenes, selenium and vitamin C. Chinese (Napa) cabbage is relatively high in absorbable calcium." How Stuff Works.com says: "The phytochemicals in cabbage, called indoles, are also being studied for their ability to convert estradiol, an estrogenlike hormone that may play a role in the development of breast cancer, into a safer form of estrogen -- powerful incentives to add cabbage to your diet." Cabbage is low in calories and high in chew-appeal. You can eat a lot and chew a lot and the calories will stay low, while your tummy feels full. Also, the Vitamin amounts of A and C in Napa Cabbage are surprisingly very good! 1. Wrap it Up! 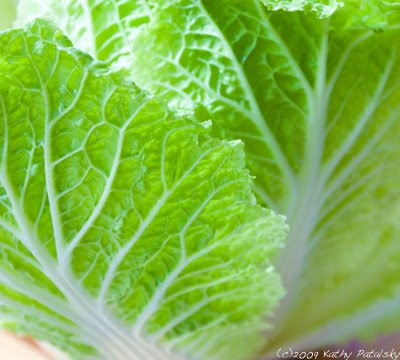 Use the large outer leaves of the Napa Cabbage to make Napa Cabbage wraps! You can roll just about any filling inside the large, flexible leaves: rice and beans, soy chicken salad, salsa, seitan, tempeh, corn salad, soy cheese...the list goes on! Just think of the leaf as a tortilla or wrap and let your creativity go! You can secure the wrap with a toothpick for presentation purposes. Plus using a cabbage 'wrap' instead of a flour or corn wrap will save on calories and boost your veggie intake. 2. Soups. Napa Slaw is a crunchy bright and summery veggie. Soy you may forget that it will be delicious cooked! In a soup it keeps a nice meaty tender texture and absorbs flavors very well. Slice into thin strips-as large pieces in a soup would be difficult to eat with a spoon! 4. Stir Fry Gem. Napa Cabbage sautes very nicely. The edges get a bit caramelized and those nice curly leaves add some great texture without adding calories. So you can fill you stir fry bowl with some light Napa Cabbage and some thick chunks of hearty and protein-rich tofu. 5. Plating Whiz. Napa Cabbage is an excellent leaf for plating a dish. Place a large leaf on the bottom of a salad or entree plate and you have already made your meal appear healthy and appetizing. The fresh green color will accent colors beautifully. Lay two leaves across a plate, or even a shredded leaf on the bottom of a plate and your guests will swoon over the beautiful leaf. And yes-eating the cabbage is part of the deal! Napa has such a tender hearty texture that your guests can slice into the 'plate accent' and as I always love to encourage-eat the garnish!